Three thousand years ago, the world fell into darkness, when the great black mouth of the Rot ravaged the land. Across the glorious library city of Aradabar, its dark tongues hammered down, leveling the glass towers of learning and entombing the bookyards in a thick blanket of lava. Only a single child survived the devastation: an infant with a prophecy carved into his skin, promising the rise of a hero powerful enough to slay the Rot for good. Now that child is a young man, beginning to question the meaning of his many scars. H.A.L.F. 9 has taken his first breath of desert air and his first steps in the human world. Created to be a weapon, he proved too powerful for his makers, hidden from humans and sedated. H.A.L.F. 9 has escaped the underground lab he called home, and the sedation has worn off. He has never been more alive. More powerful. Or more deadly. Erika Holt longs to ride her motorcycle east until pavement gives way to shore. She bides her time until graduation when she'll escape the trailer she shares with her alcoholic mother and memories of her dead father. But a typical night in the desert with friends thrusts Erika into a situation more dangerous than she ever imagined. Circumstances push the two together, and each must make a fateful choice. Will Erika help H.A.L.F. 9 despite her "don't get involved" rule? And will H.A.L.F. 9 let Erika live even though he was trained to kill? Yes. The book is perfect escapism. I was engaged from the start, and at no point was I jarred by an inconsistency. I think the first alien hybrid was named nine and the one after was named ten. I enjoyed ten the most. Nine was a bit soft, and the "people people" were okay. Secretly, I want ten to turn into a Deadpool like character. Be all badass, working for number one, and unapologetic about it all. His reading voice is deep, and without accent. I like this because I was listening to the book at 2X and above. At those speeds he came out clearly, and I followed along nicely. No - who has time for that? 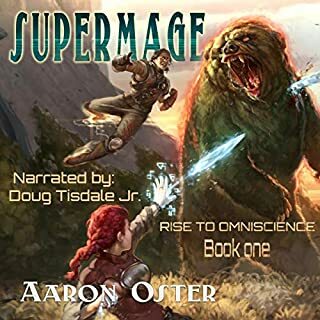 Well I have to be honest and say: This audio book was provided by the author, narrator, or publisher at no cost in exchange for an unbiased review courtesy of AudiobookBlast dot com. But, that said, I enjoyed every minute. To escape the more painful realities of life I have consumed a fair number of books. Mostly fiction. In particular, Science Fiction. So I am a bit of a junky connoisseur. 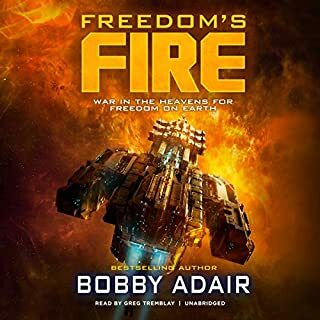 While I listened to this audio book I was not putting milk and yogurt away for minimum wage, but rather running around a desert with this predictable but fun lot of characters. Book 1 down... on to Book 2!!! Yes its that Good! I enjoyed this new YA series so much that I went right to book two when this one finished. I just had to know what was next. Not only did I fall in love with the main characters but love how each character has a storyline that is written in and enjoyed following them all. A lot of times when a book jumps around from character to character I get lost... but the between the way it is written and the narrator... LOVED IT! Young adult fiction is not normally on my to read and review list however, this sounded good, But this book was only just okay to me. Wright has crafted an intriguing tale with characters that were interesting. It's just the story itself that fell flat to me. I found the narrator to be good at reading the book as well as giving the characters life and voice. 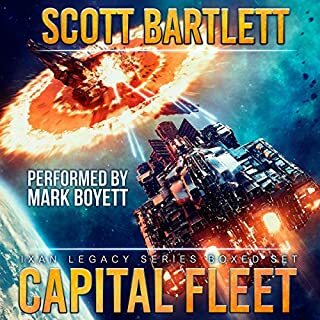 "I was provided this audiobook at no charge by the author, publisher and/or narrator in exchange for an unbiased review via AudiobookBlast dot com". I agreed to review all three books in this series. I didn't know what to expect when starting, but after this book, I can't wait for the next two. This was a great sci-fi adventure. I'd definitely recommend this book to just about anyone. I was surprised at how good it was. The author could easily match some of the bestseller authors we all know. Narration was great for this book. I hope it's the same narrator for the rest of the series. For decades a secret experiment has been going on under the sands of the South West. Scientists have been working to create a human and alien hybrid super being in a top secret lab. Dr. Sturgis and a secret government group have been experimenting in secrets with genetics. Her plans are thwarted when the latest hybrid, Half 9, escapes from the lab and goes on the run across the Arizona desert. Half 9 encounters three teens in the desert and rescues them from an attacker. They join forces and go on the run. In the process, Half 9 discovers his humanity with the help of Erica, Ian, and Jack (who are struggling with their own identity). This book mixes a science fiction, adventure, and mystery with classic coming of age elements. I'm looking forward to the next two books in the series! While the narrator does a good job overall, his voice ranges from an even tone to a whisper. I was constantly adjusting the volume on my stereo. Disclosure: I got a copy of this book in exchange for an honest review via audiobook boom. This is a great book you start to fall in love with halfs almost from the start. The writer envelops you into the world of the HALFs and it is a story unlike others I have read. Great Premise and if you like SciFi with a little "magic" this book will scratch that itch. Alien hybrids! In the Desert! Jack, Erika, and Ian have been good friends since childhood and headed out to the desert outside of their small Arizona town to blow off some steam. They got far more than they bargained for! Before long, they are swept up in an alien-human hybrid science experiment that has some very determined people wanting to keep it quiet. The action is well paced with a little comedy and some important conversations between characters. Erika was my favorite character; she has drive, is very easy to relate to, and gets stuff done that is plot-relevant. She’s also still a believable teen and makes realistic mistakes. Tex, also known as H.A.L.F. 9, is also fun. He’s doing his best to figure out his world, abilities, and who are his allies versus enemies. Since he’s a living experiment brought up in a super secret desert facility, his limited experience makes him a little naive (understandably). I also like he has one big weakness – H2O. Yep, even the smallest amount of moisture can limit his abilities. Jack and Ian provide some comedic relief here and there. Now I do have one quibble with this story and it involves these two guys. One of them is Erika’s boyfriend and the other has been Friend-Zoned and definitely wants to be something more. So we have this potential love triangle in the making and I’m not big on love triangles where there’s competition for one person’s affection. Then there’s Tex who has some feelings stirring for Erika and he’s not sure what they are nor what to do with them. So it could end up being a love quadrangle…. and that’s just silly. If Erika was the only female character in the story, then this would be a huge turn off for me. Luckily, we have some other ladies. Commander Sturgis is a villain I love to hate. She’s driven, intelligent, condescending, ruthless, and a little petty. This H.A.L.F. 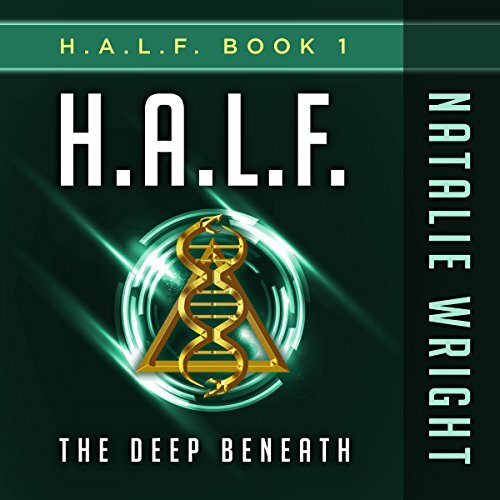 project is her baby and her backers are eager to see what kind of living weapon she has wrought with this alien DNA. There’s also Electo, another alien DNA experiment. She has that potential to be a villain that later redeems herself. A very interesting character! The plot ramps up and up to the point where Erika and her friends may well lose their lives. Things do indeed look grim for them but they keep their wits and pull together. I was definitely on the edge of my seat for the last two hours of the story. The end does leave us on a cliffhanger but Book 2 and Book 3 are already out so I can continue the story right away. 4/5 stars. The Narration: Andrew Tell did a really good job with this book. His voice for Erika was believably feminine and his voices for Jack and Ian sounded like teen boys. He also had a distinct voice for Tex with proper, careful grammar and all. I loved his angry Sturgis and his creepy Electo. 5/5 stars. Is the Alien Invasion upon us? I received this book, because I asked for it, in exchange for giving my honest opinion about this story. This story is not like any others that I have read. This book is about young adults however as someone who is 29 I will have to admit that I really enjoyed this story. This story starts off very mundane nothing bad is happening nothing major is occurring but yet a plot twist occurs. I have to say that the beginning of the story set of pace for the rest of the book. Commander Sturgis is who I would love to call a narcissist. She does not understand how any of the things she has done thus far is bad. Take for instance Half 9 AKA Tex, she really feels as though that is for child however that is not her kid. I do not care what she did in order to have half nine around but she is not that boy's mama. I can actually go on and on about her however there are array of different characters that I would like to touch upon. Just keep in mind that Commander Sturgis is a lot more crazy then I'm letting on. Now let's get to my favorite character out of this entire story, Tex. He is completely beautifully written that all I want to do is hold him and tell him that &quot;I don't care what I have to do you will survive.&quot; Yes he is a deadly character however he has been caged for 17 years and I just want to hold him. The fact that he is a hybrid being means nothing to me. I loved his sincerity and I loved the fact that he was just so grateful of having true friends and they cared fo him. The fact that there are a lot of characters and other books that don't recognize the fact that there is an array of different characters that care and support them and they are not genuinely grateful for it. However Tex recognizes certain individuals in his life and he embraces the fact that they are there for him. Eika is someone who I don't know if I like it or not. There are parts within the story where I 100% rooting for her and I feel like she's such an amazing character and then she does something where all I want to yell at her &quot;I just want you to realize that you are not the center of the universe!&quot; Then she does something heroic and amazing and I just want to give her a high-five and tell her that she is such a badass. But then she goes to being selfish again and then I'm just confused. Jack and and Ian arr interesting characters. Jack has this major thing for Erika and she just refuses to entertain him until the very end. Ian on the other hand is a bit self-absorbed and at times looks out for number one. I do not know how I am going to feel about Jack and Ian in upcoming books however I am looking forward to how they end up developing. Generation was simply amazing and I have to admit that this book was so much better than I thought it would be. The synopsis had me a bit on the iffy side however as soon as Chapter 2 came about I was all-in. Onward and upward to The Makers. Keeps you on the edge of you seat. A perfect blend of writing and narration, brings this book to life. It makes you wonder. 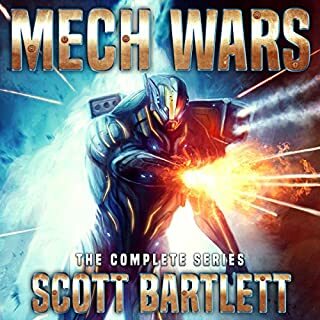 I received this audio book for free at my request and voluntarily reviewed. The basis of this story is remarkable, what if aliens had crashed in Roswell all those years a go, what if we crossed their DNA with human? As remarkable as the idea is it is equally horrifying, a being raised as an experiment, seen and treated as inhuman, is it any wonder he would want freedom? 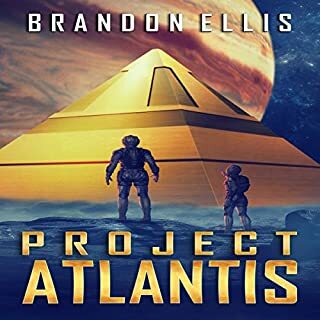 A complicated scenario and an interesting plot, I found myself unable to stop listening while feeling both intrigued and yet horrified because I can too easily imagine that such a scenario could happen if aliens were real. The characters are complex and interesting and their interactions are well crafted. The writing in general is excellent. The narrator did a great job with the delivery and character voices although the half's voices are not as flat as the book says they are, I imagine that wold be a tough ask. A great book. I loved the characters. Half-9 complimented by the humans drawn on his journey pursued by his paranoid military ‘mother’, brilliant. 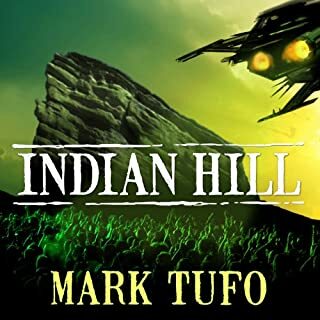 It’s a rollercoaster of a sci fi escape story with great detail set in our normal every day world. All of the elements work really well together and the pace is brilliant. I loved the narration, it really compliments the story and has a great sense of pace. This book was given to me for free at my request and I provided this voluntary review."